I have been trying to take advantage of connecting 2 kinect v2s to one single powerful PC to reap the benefits of reduced setup time and more. My goal is to extend one of my Kinects to a whopping 24ft (into another room). I also tried connecting a 15ft USB 3.0 passive directly into the camera with some detection but it constantly disconnects and reconnects which led me to believe I needed 12ft and under. I'm not sure what I need to buy to make the 24ft dream happen and need some help on what I need to buy. Is it even possible to extend a Kinect beyond 10-15ft? Maybe it's because each 3.0 wire is a different brand? Current Situation: $40 out of luck and not wanting to be another $40 out. What am I doing wrong? 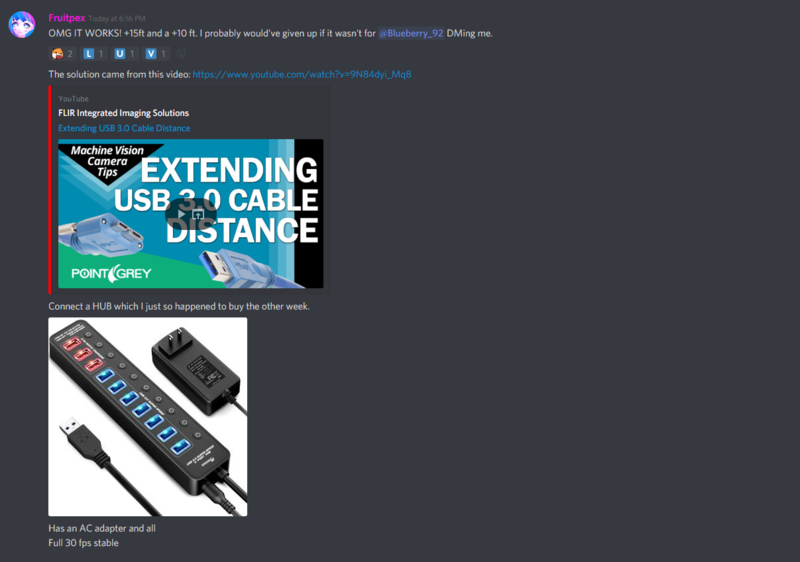 Is it because they are different brands of USB 3.0s? 10ft too long? Need a lesson on USBs / or direct buy links for a guaranteed solution. 10ft apart is not enough for both Kinect v2s recording.